Indonesia is the largest archipelagic country in the world consisting of 17,499 islands from Sabang to Merauke. and 2.55 million km2 Exclusive Economic Zone (ZEE). for those of you who love beach tourism can come to Indonesia. Raja Ampat can spread by plane from Jakarta or Bali to Sorong via Makassar or Ambon and Manado. Gasoline flight time is approximately 6 hours. Stayed at Raja Ampat Dive Lodge resort. 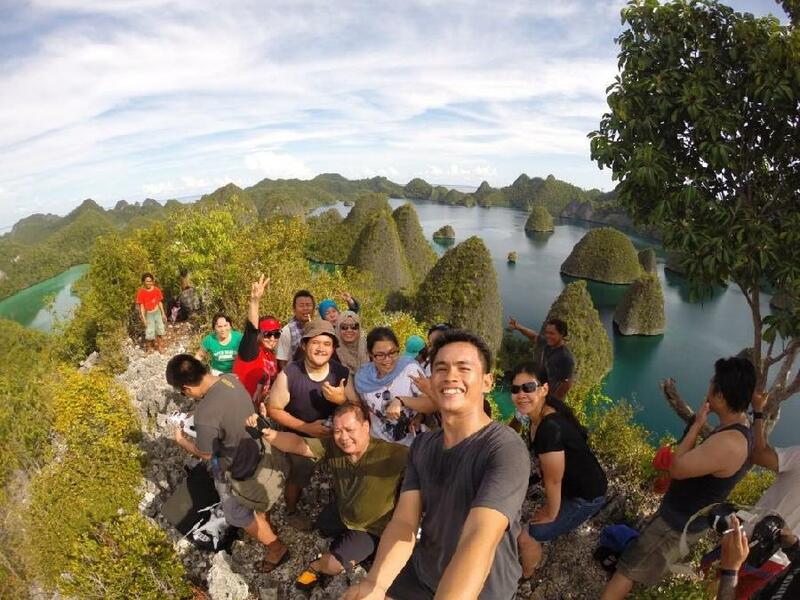 Most tourists who come to Raja Ampat today are divers. For non-divers there are several white sandy beaches, clusters of karst islands and endemic flora and fauna such as red paradise, cendrawasih Wilson, maleo waigeo, various parrots and parrots, kuskus waigeo, and various species of orchids. Raja Ampat is made up of hundreds of island clusters each of which holds different marine wealth. 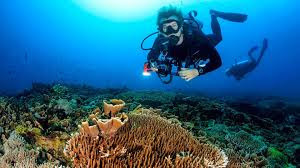 That is why most of the travelers who visit Raja Ampat have the same goal of diving or diving. There are many diving spots in the region that offer amazing views of the marine park because of its location in the center of the world's coral reef triangle. For a traveler who does not have a dive license does not need to frown, because there are other activities that are guaranteed fun and can be done by anyone who is snorkeling. Raja Ampat is not only a paradise for divers but also a haven for all traveler types. Those who want to know Raja Ampat underwater park without having to dive can enjoy it, how to snorkel enough in shallow waters. Interested to see photos of friends on the hill with the background of a group of small islands in the middle of the sea is calm and watery clear blue? Time for you to save and fly to Raja Ampat. Landscape like that you can get by doing trekking in places like Waisai, Kabui and Pianemo. Land of Raja Ampat also keeps the gems that spoil the eyes through bird watching activity. 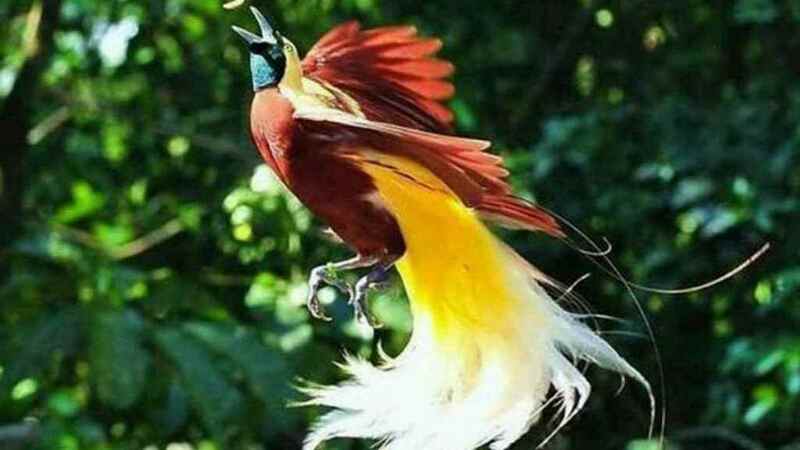 Already from the school bench we know birds of paradise is the original bird from Papua. The place where the traveler can see directly the bird without using binoculars or through the media is to visit this area. Spot view of birds can be done on the island of Sawing Rai. Raja Ampat is okay place for sunrise and sunset. But the sunrise there spelled out the most champions. 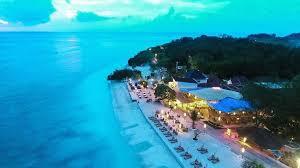 Some resorts even build hotels that have sunrise views, call it Raja Ampat Dive Lodge, Waiwo Dive Resort, and others. 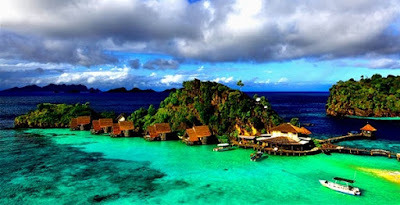 That's Raja Ampat, what do you think ? We'll see the Next beach ...!!! 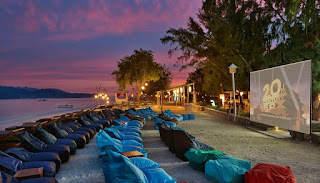 Gili Trawangan is the largest of the three small islands or dyke located in the northwest of Lombok. Trawangan is also the only dyke whose height above sea level is significant. With a length of 3 km and width of 2 km, Trawangan populated about 800 people. 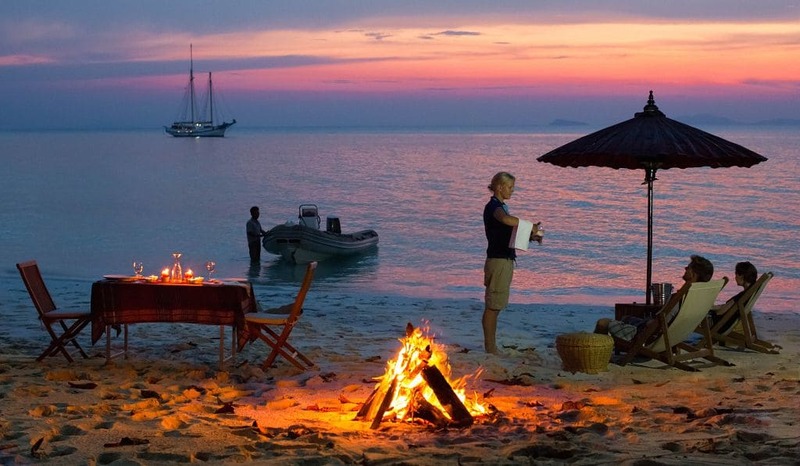 Among the three dyke, Trawangan has facilities for the most diverse tourists; the "Tîr na Nôg" tavern claims that Trawangan is the smallest island in the world with its Irish bar. The most populous part is the east of the island. 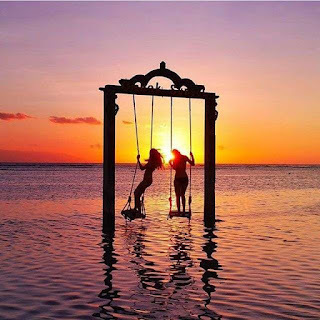 If you want to know what activities can be done in Gili Trawangan, see below activities ? Cidomo is a public vehicle there. Cidomo or horse cart is similar to andong in Yogyakarta. 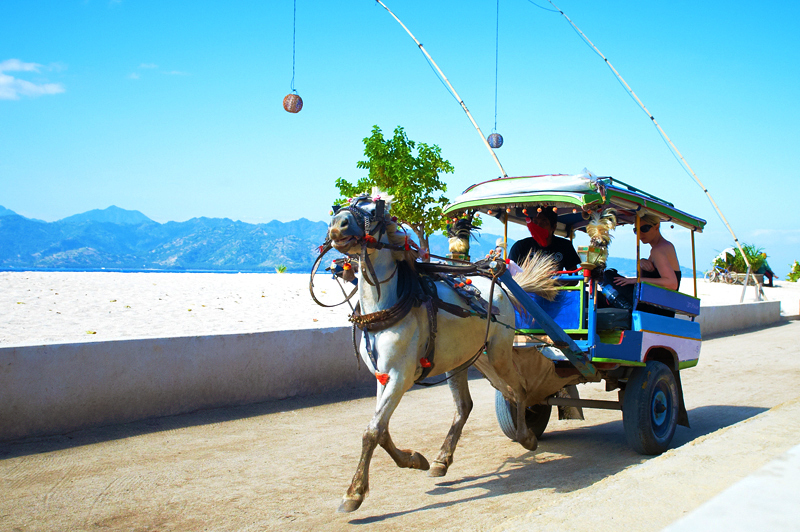 In Gili Trawangan there are no motor vehicles you know, so do not expect to see taxis let alone Go-Jek! Fishing is not a favorite activity in Gili Trawangan. Precisely because of that, it will be a new experience if you try this activity there. 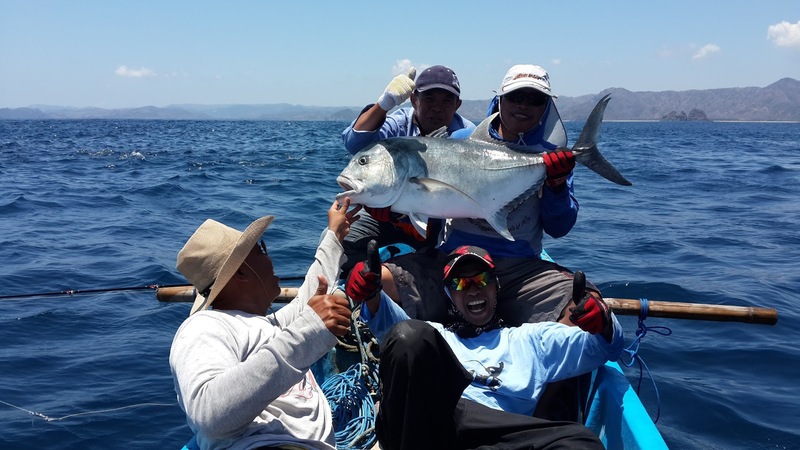 Ask to get to the usual spot of fishing by boat hire. Go to the main road to watch the sunrise at Gili Trawangan. Around 6 o'clock, even the beautiful scenery from the main players of the sun began. Calm down, not late. Add to the fun because the atmosphere of Gili Trawangan looks deserted. Looks like not many are interested in hunting sunrise here. Meanwhile, to enjoy the sunset, quite far into the spot known as waves Sunset. 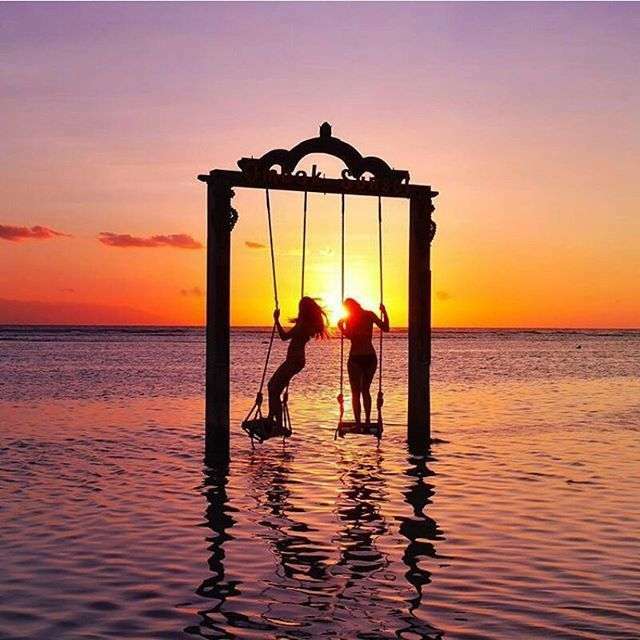 Here is a phenomenal swing that becomes the target of a million people if to Gili Trawangan ! After a day enjoying the freedom in the sun, enjoying a spa treatment is the most enjoyable option to do there. 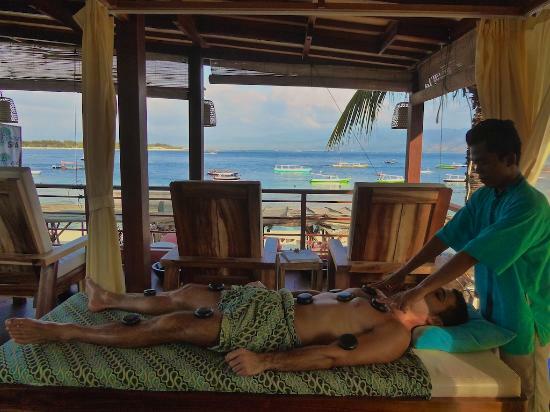 Many provide massage and spa services there, either on the roadside to an exclusive place. That's Gili Trawangan, what do you think ? We'll see the Next beach ...!!! This one beach name is familiar, even can be called by the name of a million beach people. Because Kuta Beach indirectly become an icon of Bali tourism. Yes, this beach is always packed with tourists, whether in the country or abroad all the time. 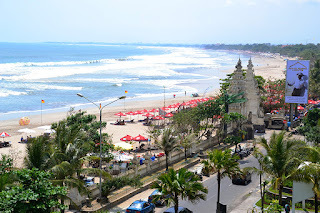 Day or night you can visit this beach in Kuta. 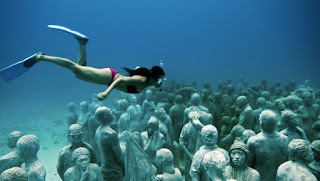 If you want to know what activities can be done in Kuta Bali, see below activities ? The waves are owned Kuta Beach is idela for surfing activities. 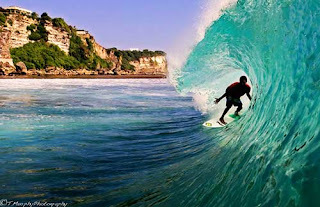 Proven from the frequent Kuta Beach to host the implementation of international surfing competition. Unable to surf ? No need to worry will feel bored because you can watch the action of surfers tried out strong waves with surf boards. 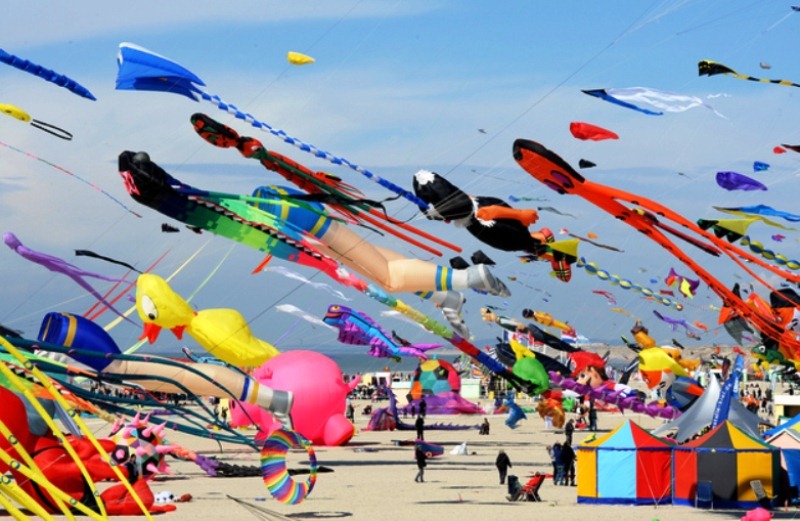 Beach breeze is ideal for flying kites. 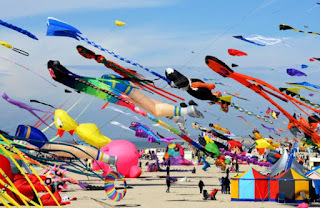 At Kuta Beach, you can fly your kite. Tal need to be bothered to bring a kite, because along this beach, there are many shops selling Balinese kites such as Bebean (Fish), Pecukan (Daun), and Janggan (Bird). In addition to therapeutic massage, there are still more unique ones that can be found at Kuta Beach that is braid hair services. Want to appear with reggae-style hair? This is where it is. The bustle of tourists Kuta Beach used by locals to peddle braid services. The processing time was not long. Just 30 minutes. Kuta Beach offers a charming sunset charm. The orange sky and golden streaks that surround the solar circle indicate that the solar will return to the western horizon. That is why everytime before dusk, Kuta Beach even more crowded. Since the first until now, the beauty of the Kuta Beach sunset has never changed and become a moment that is highly anticipated by tourists. 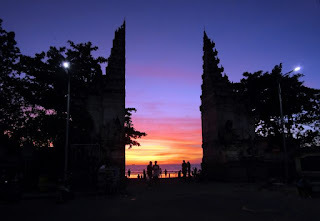 Do not forget to set your camera to shoot the moment of the charming Kuta Beach sunset. Well ... what do you think? There are still many dozens or even hundreds of beautiful beaches in Indonesia. continue my blog, I will keep informing interesting places in Indonesia. Belum ada tanggapan untuk "The Most Beautiful Beach in Indonesia"